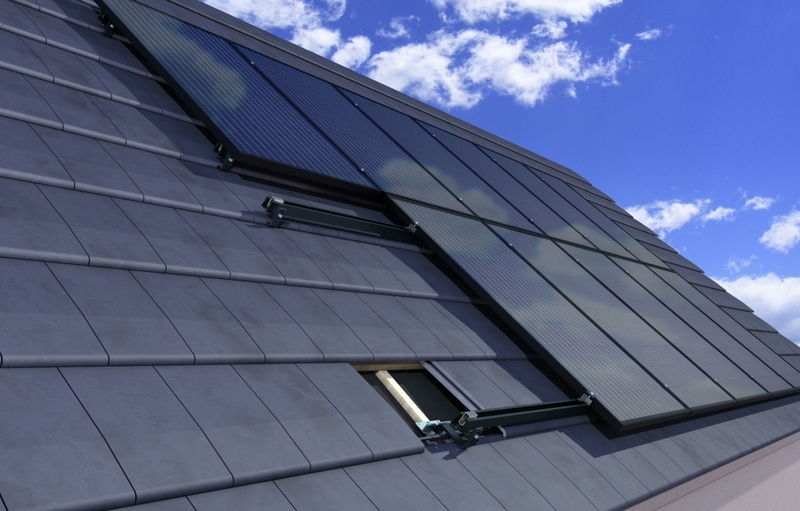 EASY ROOF TOP is an on-roof mounting solution for all framed photovoltaic modules(1). 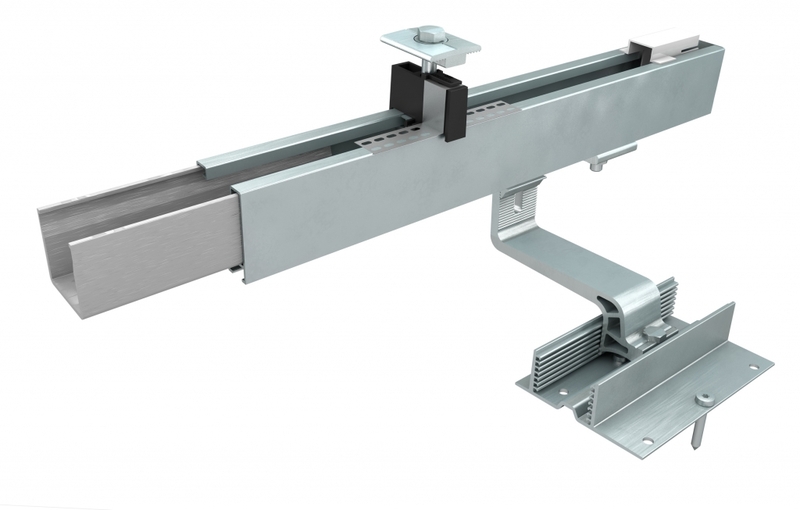 The system can be installed onto any existing roof tiles, slate tile, corrugated fibre cement, roof plate and trapezoidal sheet metal in PORTRAIT and LANDSCAPE. 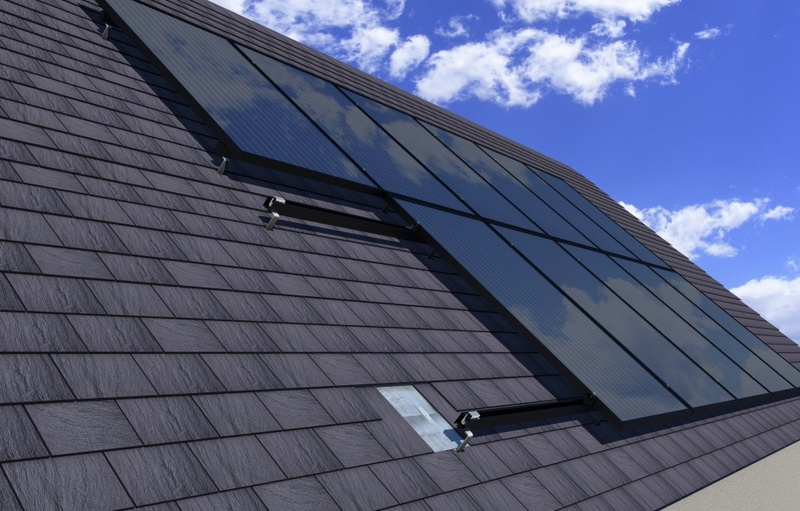 Our solution is designed for slopes between 8° and 50°(2), depending on the roofing. 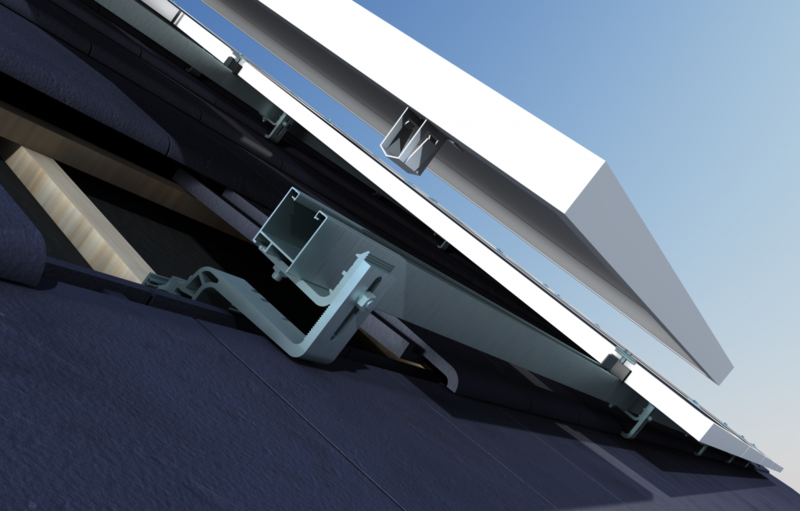 The uniquely designed EASY ROOF TOP system has a new hooking mechanism which fits directly into the building structure. 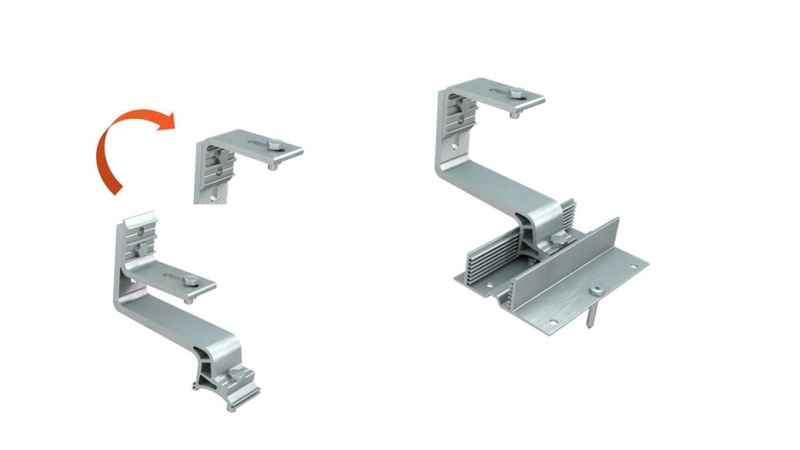 This can be installed with one simple twist onto all types of curved or flat tiles.A dedicated hook for slate roof and another one for asbestos cement sheet are also available. Several anchor points for easy positioning on rafters. One hight adjustable hooking mechanism. 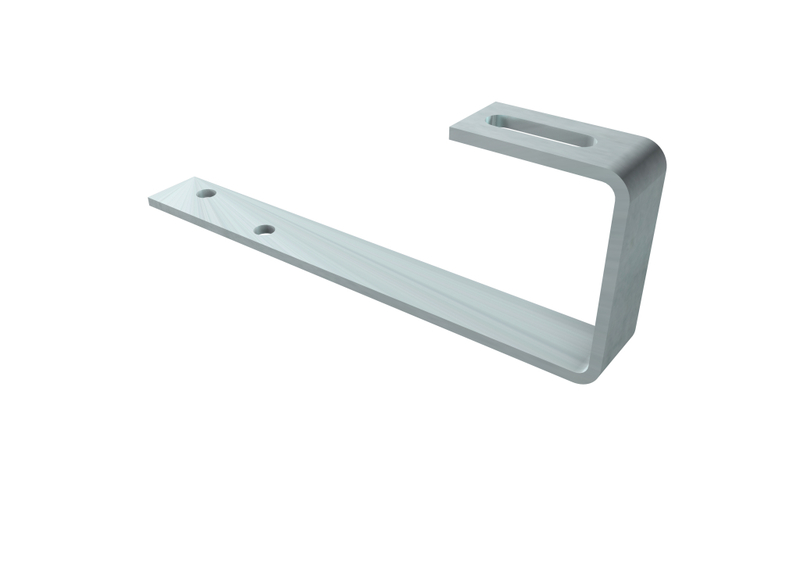 A single hook for all tiles and a perfect fit of the field flatness. … then into the rail. 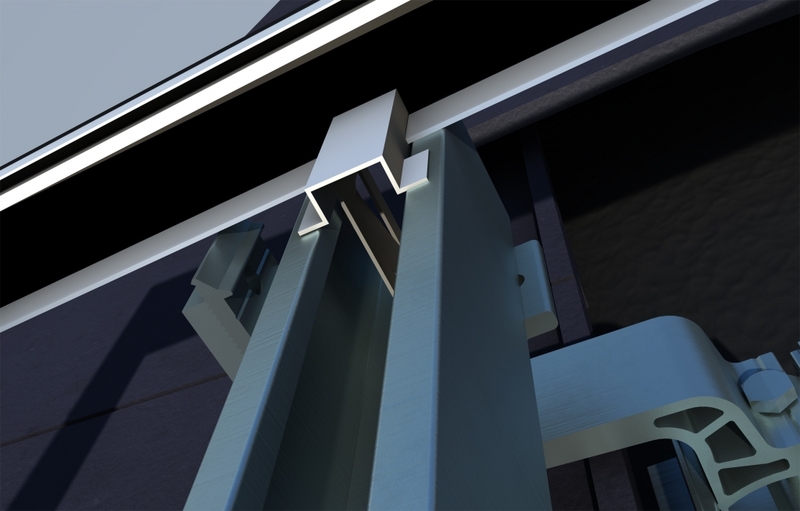 Available in black and aluminium finishes. 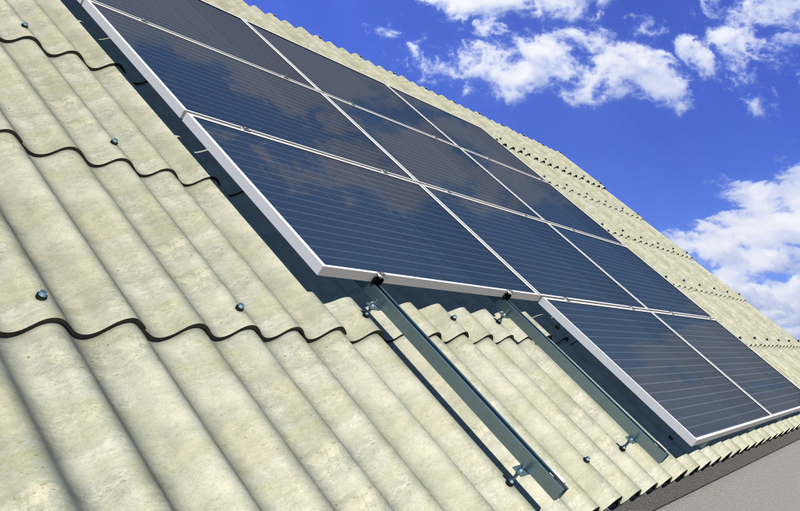 No rail and no fixings visible below the photovoltaic field. 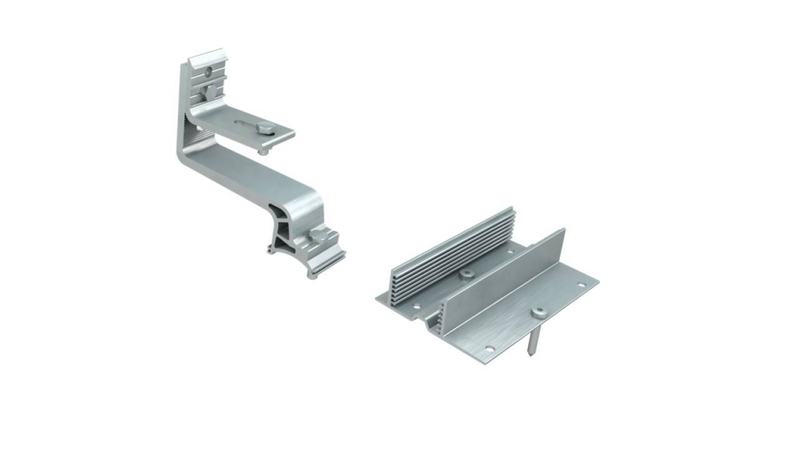 Mounting elements: aluminium alloy. 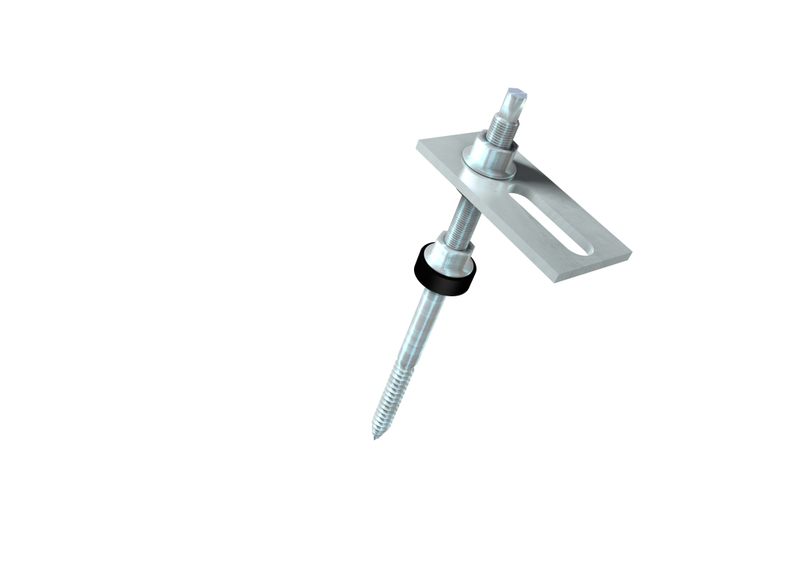 Mounting screws: stainless steel. (1) Compatibility list. 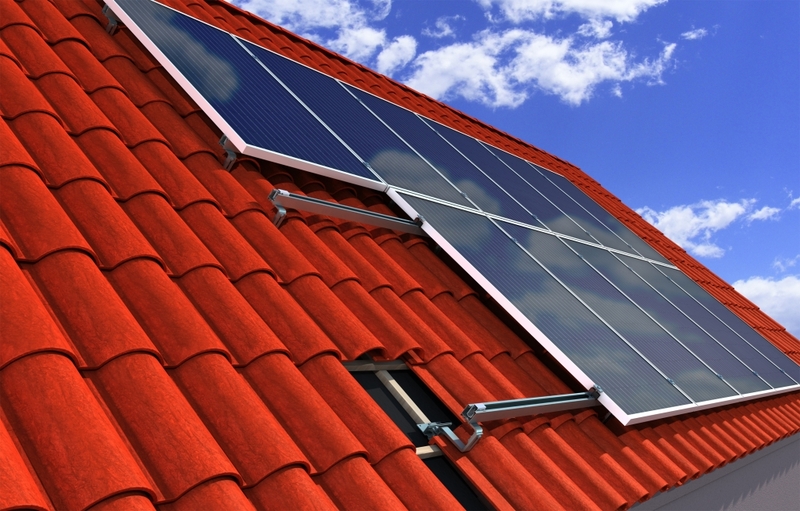 (2) Subject to the roof structure.